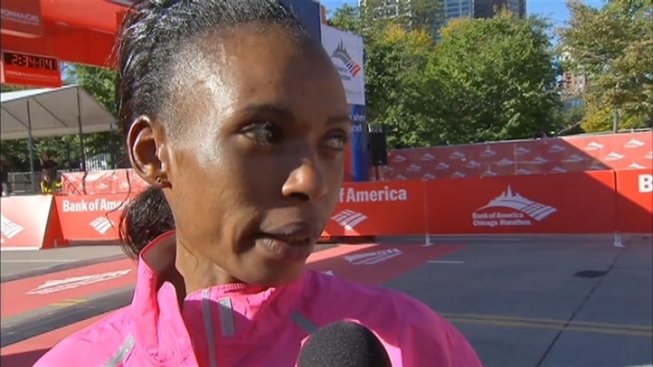 The winner of the 2013 Chicago Marathon women's race made history Monday in Boston. Defending champion Rita Jeptoo of Kenya finished first in the women's elite field, setting a course record of 2:18:57. Jeptoo becomes the seventh three-time Boston Marathon champion. American Shalane Flanagan finished fifth after leading for more than half the race. She took a gamble by setting the early pace. She ran her first mile in 5 minutes, 11 seconds, but fell back on the Newton Hills about 21 miles into the race. 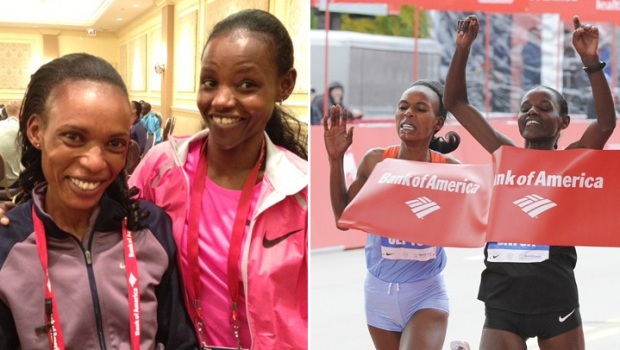 After a neck-and-neck finish in the 2102 race, Rita Jeptoo, of Kenya, and Atseda Baysa, of Ethiopia talk about their matchup this year. Jeptoo sought redemption at last year's Bank of America Chicago Marathon after coming in second the previous year in a thrilling photo finish. She finished the marathon with a personal record time.